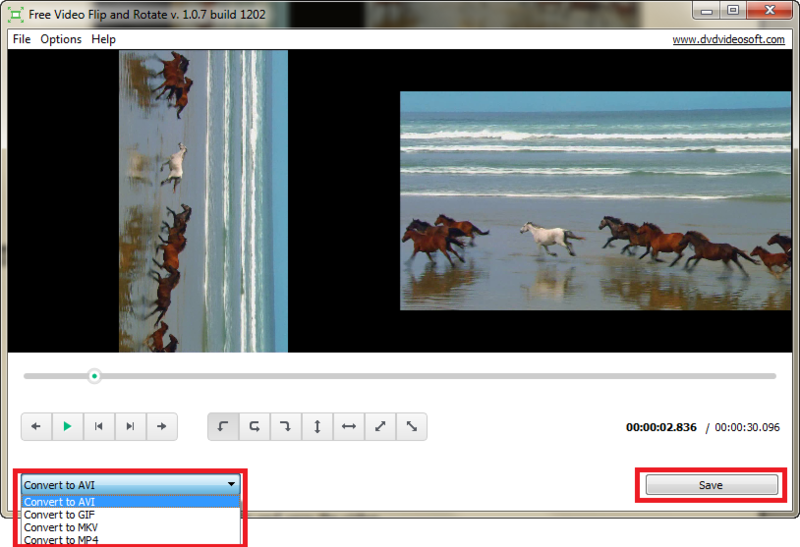 Click 'Add file…' to browse for a video or just drag and drop your video in the program's window. - flip right to left. Among the output formats you'll find a widespread GIF which is so popular now! Don't miss your chanсe to make your own. 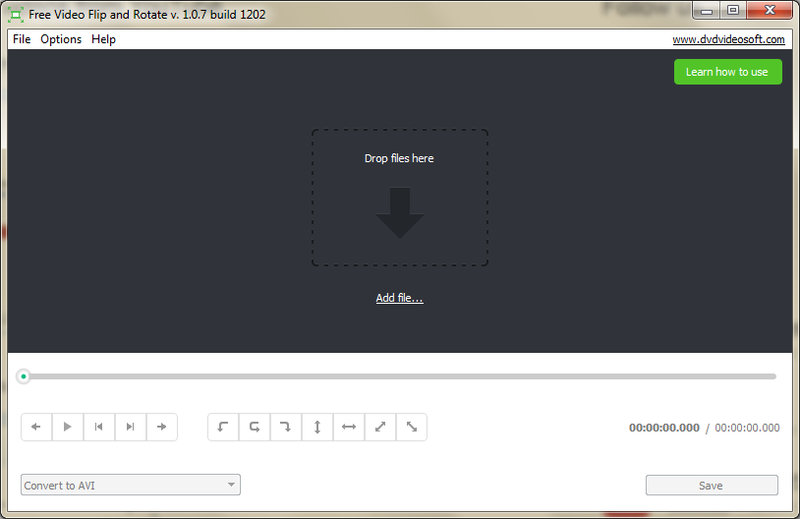 Note: By default output files are saved to 'My Videos' folder. You may change it in Options.